Look no further for the best Samsung S10 deals. At last, the new Samsung Galaxy S10 smartphone is finally available to buy – along with its more powerful and pricier sibling, the Samsung Galaxy S10 Plus, and the cheaper Samsung Galaxy S10e. 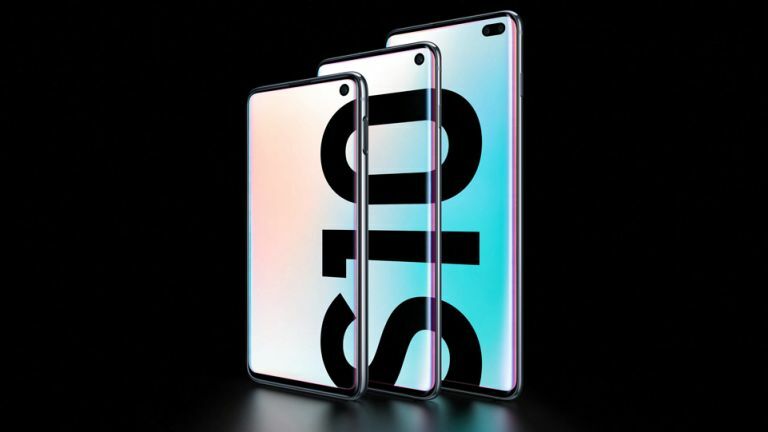 No matter which of the three new smartphones you’re looking to take home, you’ll find all the best Samsung Galaxy S10 deals here on this page. The Samsung Galaxy S10 is undeniably impressive. Announced two weeks ago at ‘Galaxy Unpacked’ media events in London and San Francisco, the latest flagship from the South Korean tech giant boasts a new design, triple rear camera, bigger battery, faster internals and a host of fantastic features. Here, you’ll find full details of the best SIM-free deals, SIM-only deals and offers on Samsung's new Galaxy S phones. Our handy price comparison tool will let you sort, filter through and compare all today's S10, and S10 Plus and S10e deals in the UK from networks like EE, O2, Vodafone and Three, and from resellers like Carphone Warehouse and Mobiles.co.uk. (Bear in mind that it's almost always cheaper to go via a reseller than direct to a network for big flagship phone releases like the S10.) And further down, you'll find our pick of the best S10 deals for each model available now. What's the price of the Samsung S10 series? How much do the new Galaxy S phones cost, now that they're finally on sale? As you'd expect, the S10 doesn’t exactly come cheap: a SIM-free S10 will set you back £799 for the 128GB model, and £999 for a 512GB model. S10 Plus prices start at £899 (128GB), but they skyrocket to £1,099 when you step up to the 512GB version – and you're talking £1,399 for the 1TB model. But if they're out of your budget, there's always the new S10e, which comes in a little cheaper at £699. Where else can I find Samsung S10 deals? Given that the S10 has only just launched, we don't expect to see retailers or networks undercutting each other on price just yet. But there are a couple of special offers throwing in extra value that have caught our eye – we've posted our favourites below. We'd recommend Samsung's trade in scheme, in particular, if you have an eligible older device. If you've got enough cash to buy the new S10 outright, then it often works out cheaper in the long run to do exactly that, and pair your new handset with a SIM-only deal instead of going for a contract. The SIM-free price of the flagship S10 is £799, and while this is unlikely to drop for a while, the special deals above apply to SIM-free S10 purchases too. As we mentioned, our favourite SIM-free Galaxy S10 deal at the moment comes direct from Samsung. If you have a valid handset to trade in, you could save up to £200. The new Samsung Galaxy S10 Plus is the most powerful of the new trio of phones. Carrying up to 12GB of RAM and 1TB of built-in storage – which can be increased by a further 512GB via the MicroSD card slot – this is a powerhouse phone. It brings with it the same sturdy build quality and gorgeous fit-and-finish we've come to expect from Samsung, but now has an even bigger 6.4-inch Quad HD+ AMOLED display, and an enormous 4,100mAh battery capacity. If you've always favoured the Plus variant of the Galaxy S smartphone, you won't be disappointed with the latest addition. Read our Samsung Galaxy S10e review for more. The Samsung S10e is the cheapest model in the new Galaxy S-series line-up. But that doesn't mean it cuts corners on build quality, boasting the same Infinity-O design as the S10 and S10 Plus – which makes its 5.8-inch screen size much easier to hold than the Galaxy S9. One area where it differs from its more expensive siblings is the camera. Unlike the Galaxy S10 and Galaxy S10 Plus, the Galaxy S10e has two rear-mounted cameras, rather than three. You still get the ultra-wide shots of the S10 and S10 Plus, but it’s at the expense of the 12-megapixel telephoto lens that gives those bokeh-drenched portraits. It's powered by the latest Exynos chipset in the UK, which offers a 40% improvement in power efficiency over its predecessor. And the S10e also has a bigger battery than the S10, which is a hugely exciting prospect. Overall, the Samsung Galaxy S10e is a great smartphone and will be a solid upgrade for anyone carrying a Galaxy S8 or older. Read our full Samsung Galaxy S10e review for more.